Solapur, a wonderful city of Maharashtra state in India, is now an excellent tourist destination preferred by many. And there are many reasons for it, such as it's historical importance, natural beauty like rivers and hills, decent weather, thrilling entertainment and nightlife options, easy accessibility from various places, options for shopping and marvelous architecture of old worship centers like temples, churches and mosques revealing the greatness of Indian ancestry. One of the most important attractions in Solapur is many temples here like Siddheshwar temple, Revansiddeshwar temple, Bhagwant temple in Barshi, Karmala Bhavani temple, Temple of Hara-Nareswara in Velapur, Temple of Lord Vithal and Goddess Rukmini in Phandharpur and Temple of Swami Samarth Maharaj in Akkalkot. Adinath Temple, Parasnath Jain Temple and Mallikarjuna Jain Temple are the famous Jain temples in Ulhasnagar and all these are named after the Jain Tirthankaras. You can also visit other religious centers such as Sant Damaji of Mangalwedha, Hazrat Shah Zahur Dargah and Shri Dahigaun Teerth. The Bhui-Kot Castle, which dates back to 15th century under Bahamani period, Hutatma Garden, Naldurg Fort and Hipparga Lake in Solapur are some of the best options for the people who love scenic natural areas. Many people visit the Great Indian Bustard Sanctury in Solapur, which covers an area of 8000 sq km and is a natural habitat of various species of animals. The Motibaug Tank, where tonnes of migratory birds flock during the winter season, is a wonderful site for bird watching. Attractive places and activities are not the only things that affect tourism of a place positively. The climate also should be suitable for making traveling and staying comfortable. Fortunately Solapur is blessed with a decent and moderate climate. As the temperature could reach to 40oto 42o Celsius during summers, tourists are advised to choose monsoons for traveling to Solapur. The rains washes over the heat and bring a touch of freshness at this period. The weather of Solapur is lovely for exploring and sightseeing or paying homage to innumerable religious sites. Being a famous tourist location, Solapur sees tourist from different corners of the globe. To provide them with a relaxing atmosphere, the city has numerous options for a enjoyable nightlife. There are many restaurants and bars which provide thrilling nightlife for people with music and dance along with delicious food and liquor. The various pubs and clubs are always ready to invite tourists. Moreover, there are around fifteen gardens in Solapur where people visit with family and children for entertainment. All these gardens are maintained properly. The cinema halls, drama theaters etc are also the entertainment options. 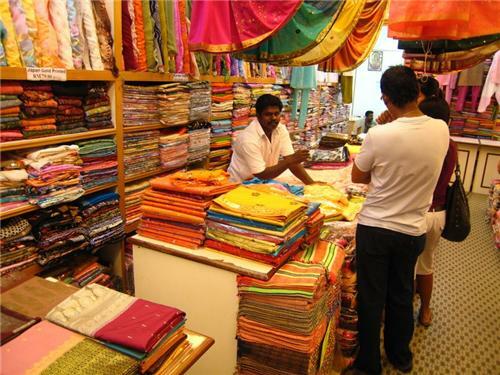 Shopping is a main activity for the tourists who visit Solapur. This city possesses several textile industries. The Solapur towels and chadars (blankets) are world famous. There are several cotton mills and power looms in Solapur. You can see numerous garment shops, jewellery shops, kids stores, stationery stores, optical stores, footwear shops, book shops etc here. The city also homes several big shopping malls and supermarkets where you can get the products of popular brands. As Solapur is a most visited by many tourists and business people, there is no scarcity for top quality restaurants and hotels in the city that ensures your dining and staying experience comfortable and enjoyable. People can select anyone from cheap hotels to 3, 4 and 5 star hotels according to their budget. 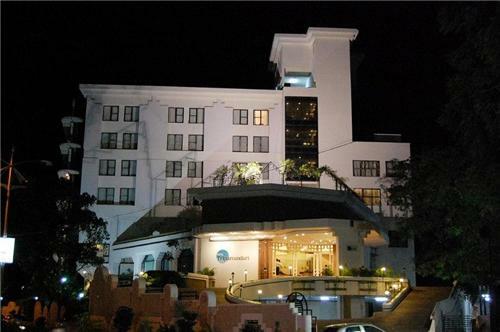 Hotel City Park, Surya Hotel International, Hotel Tripurasundari, Hotel Srikamal International, are some of the most popular hotels in Solapur. The restaurants in Solapur serve western, Chinese, Continental and fast food along with traditional Maharashtrian and other Indian cuisines. For tourists planning to visit Solapur, don't be afraid as the city is well connected with all the major highways, railways and airways. Solapur is situated on the main roadway and train routes from Mumbai to Hyderabad. State transport and private tour companies conduct several shuttle services by road that help people reach Solapur easily. The Solapur railway junction connects several important cities in India. Mumbai airport is the nearest International center for boarding flights apart from the Solapur airport. Require tour at Pandharpur, Tuljapur, gangapur and Akkalkot and fort siddheshwar temple.